Since 1981, Dart Machinery has become the acknowledged leader in producing race-winning components. Check out the Recently Listed Cam Bearings. Check out the Recently Listed Cylinder Head Bushing Kits. Pit Stop USA is The Online Motorsports Superstore! 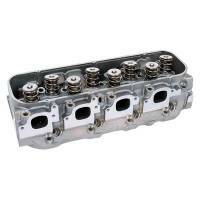 We feature Cylinder Head Parts Kits at low everyday prices. Pit Stop USA is The Online Motorsports Superstore! 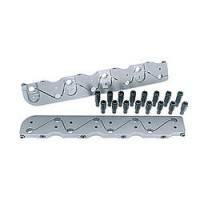 We feature Cylinder Head Stud Kits at low everyday prices. Pit Stop USA is The Online Motorsports Superstore! Since 1981, Dart Machinery has become the acknowledged leader in producing race-winning components. Dart Machinery aluminum and cast-iron engine blocks are designed to meet the specialized needs of racers and performance enthusiasts. Dart components are developed in-house, manufactured on Dartas own CNC machining centers, and tested on Dartas computer-controlled engine dyno. Dart starts with the best materials like 355-T6 aluminum that provides 50 degrees more heat resistance and 5,000 psi more tensile strength than the more commonly used 356 alloy. Advanced casting technology enables Dart to produce heads with higher density and strength in the combustion chambers. Tighter casting tolerances allow profiled valve guide bosses to be cast in and produce smoother surfaces for improved flow. Dart's own Pro-Stock campaign and daily interaction with winning racers and engine builders enable Dart to constantly gain new knowledge and experience concerning engine performance and reliability. Dart Machinery integrates these lessons to continuously improve Dart products. Dart blocks and Dart cylinder heads provide an exceptional value at an affordable price. Precision machining and quality control measures mean you get optimum out of the box performance. Dart blocks are loaded with features you won't find in any factory casting. 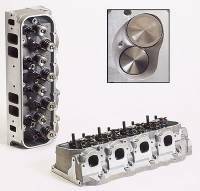 Dart cylinder heads offer superior casting technology, premium materials, optimized port and chamber design, premium valve guides, hardened valve seats, rolled valve angles and CNC porting are among the available features. Fully assembled or bare heads can be ordered with combustion chambers matched to your bore size. We feature Dart Iron Eagle Cylinder Heads, Dart Pro 1 Aluminum Cylinder Heads, Dart Valve Covers, Dart Little M Cast Iron Engine Blocks, Dart Iron Eagle Engine Blocks, Dart Aluminum Engine Blocks, Dart Sportsman Engine Blocks, Dart Intake Manifolds and more at low everyday prices!